International House Nice is a language school on the French Riviera offering French and English courses all year round. IH Nice has premises in the residential district of "quartier des musiciens", rue Rossini. 7 minutes from the sea front. Our new 400 square metre complex, on the first floor of a building built in the 1970s, includes eight spacious classrooms, each equipped with state-of-the-art equipment. Our teachers are all native French speakers and have at least a university degree. They are continuously monitored and regularly participate in training courses that enable them to adapt to Council of Europe technology and recommendations for foreign language teaching. We emphasize the communicative approach of French. Whether students are learning grammar, vocabulary or idiomatic expressions, they are encouraged to participate as much as possible when they are in class. This approach is complemented by a more "task-based" teaching method. This new approach is more authentic because it allows students to "learn in action" as if they were working in a company. International House Nice is located in the musicians' district, 27, Rossini street, in the heart of Nice. Our school is surrounded by parks and restaurants and is only a few minutes walk from the main street, Jean Médecin Avenue, where you can shop, go to the movies and more. Maximum 10 students per class and certificate of achievement. Small groups, of a maximum of 10 students, allow everyone to participate actively. At the end of your stay, you will receive a certificate of success which follows the guidelines of the Common European Framework of Reference. 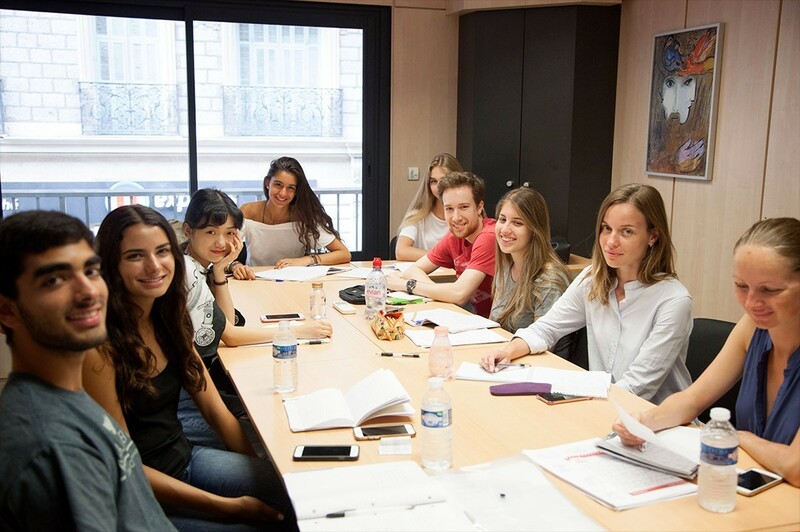 We offer high quality courses in a friendly atmosphere and emphasize the communicative approach of French. Whether it is grammar, vocabulary or idiomatic expressions, our students are always encouraged to participate. All our teachers are native French speakers and university graduates. Most of our students choose to stay with a host family, but we have different types of accommodation, such as hotels and residential studios. A Wi-Fi connection is available free of charge. We have unpaid internship programs available in the following areas: Hotels, tourism - Press - French pastry and chocolate - Catering - Aesthetics. Students can take cooking classes. Every Monday, we warmly welcome each new student. The friendly atmosphere of our school will make you feel right at home and allow you to make the most of your stay, you will be encouraged to make the most of yourself and improve your knowledge of the French language. In case of emergency, a hotline is available 24 hours a day, 7 days a week. In addition, the school entrance is secured with an access code. We are committed to a non-discriminatory labour code that respects every student without distinction of nationality, religion, social ideas, sexual orientation or skin colour. We love France, the French people and the French language, but we also love your country, its people and your language ! On the first day, each student takes an evaluation test that allows us to create groups of similar language levels. Your courses will start after the oral and written tests. In the afternoon, we organize a guided tour of the city. We strongly recommend that you attend as it is an excellent opportunity to meet new students and get to know the city.